What would you do if you received this notice in the mail? Evelyn Anderson is a 70 year old wife of a veteran. She moved into her rowhouse on Ravenwood Avenue in 1975, and has called it home ever since. 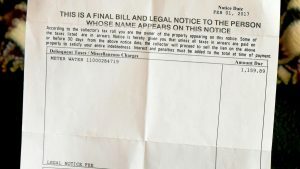 But when her water bills began rising into the thousands and became too high to pay, her home of over 40 years was in danger of being lost to tax sale. Evelyn came to St. Ambrose hoping for some way to save her home. The legal team was able to work with the Department of Public Works to secure assistance, and raise awareness of her plight. Ultimately, St. Ambrose lawyers were able to save Evelyn nearly $3,000 and more importantly, her home. This story struck a chord with readers and through their generosity, she was able to pay the bill and save her home. The St. Ambrose legal team receives many calls from frightened homeowners like Evelyn who are unsure how they will manage such large water bills. These billing issues impact everyone including organizations. But for low-income families or seniors on fixed incomes, who rely on careful budgeting to ensure they can afford basic necessities, a large, unexpected bill can strike panic. If they are unable to pay the bills, their house could go to tax sale. St. Ambrose attorneys can help protect families from this kind of catastrophe with free or low-cost legal advice and representation. Seeing the dire need for reform, St. Ambrose has joined the advocacy effort, working on task forces and partnering with organizations like the Food and Water Watch and Water for All Baltimore Coalition. The system shouldn’t be so complicated and muddled that people feel they need legal representation just to talk about a water bill. “Citizens shouldn’t need a lawyer to dispute bills. The process should be clear enough for everyone to understand,” Charlotte Clarke, St. Ambrose attorney states. She wrote a great piece that explains in further detail the need to reform the billing system. You can read it read it here. 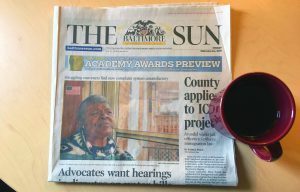 To read more about Evelyn’s story and St. Ambrose’s push for reform, check out the Baltimore Sun Article. Danielle, a recent first-time homebuyer herself, wanted to share this piece of advice and encouragement with everyone else searching to find their perfect home. She knows the journey can be long and challenging at times. The paperwork can be overwhelming. But with a little help, and a St. Ambrose counselor on your side, finding the right house to call home is possible. You can have that feeling of peace from finding your home. For Danielle, knowing that her money was going to pay for her own home instead of paying rent to someone else is one of the most exciting parts of becoming a homeowner. That and being able to decorate the place however she wants! Danielle was able to buy her house after participating in St. Ambrose’s Homeownership counseling. After taking a pre-purchase workshop, she and a counselor worked together to consider her individual needs and wants. When asked what the most valuable role the counselor played, she replied that her counselor was always there to assist no matter what she needed, even helping her find funding to assist with closing costs. 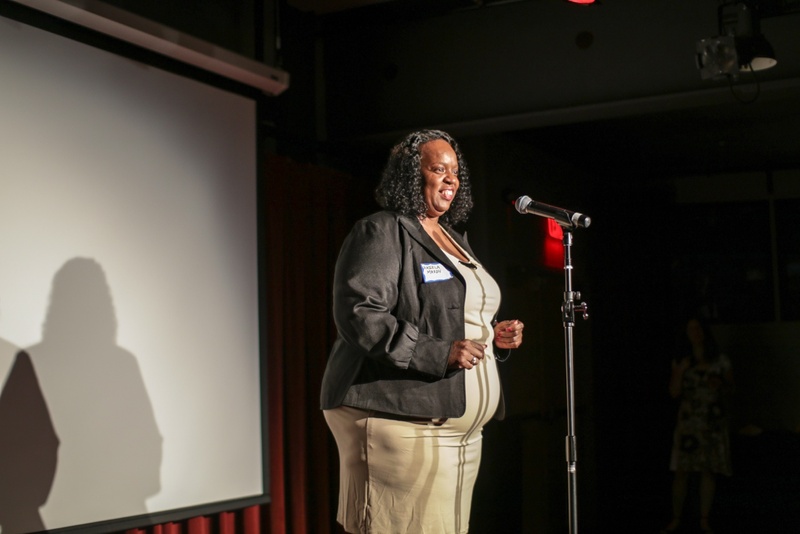 Her counselor helped make the dream of homeownership a reality. A home should be a secure place. A home should be a place that protects you. So how can making a few minor repairs, which should ensure that safety, end up putting homeowners in danger of losing their whole house? In the late ‘80’s, an increasing rate of home improvement fraud put vulnerable homeowners in our community in exactly that position. As long ago as 1989,St. Ambrose recognized the need for access to civil justice and the above article tells that story. The following is an excerpt from an article in “The Evening Sun” published on December 5th, 1989. “Helen Willett was almost forced to pay $8,000 for seven leaky windows and a door. 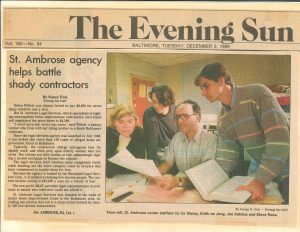 But St. Ambrose Legal Services, which specializes in fighting unscrupulous home improvement contractors, intervened and negotiated the price down to $2,300. ‘I won’t have that worry any more,’ said Willett, a bakery worker who lives with her ailing mother in a South Baltimore rowhouse. Since the legal services agency was launched in July 1988, it has looked into more than 100 cases of alleged home improvement fraud in Baltimore. Typically the contractors charge outrageous fees for shoddy work, and often prey upon elderly women who live alone. The victims put their homes at risk, unknowingly signing a second mortgage to finance the repairs. The legal services staff resolves some complaints itself, while farming out the more complex cases to lawyers who have volunteered to handle them for free. Because the agency is funded by the Maryland Legal Services Corp., it is limited to helping low-income people. The current income ceiling is $23,200 a year for a family of four. The non-profit MLSC provides legal representation in civil case to people who otherwise could not afford it. When you think of the word neighbor, who comes to mind? Neighbors can make us think of a whole community of people. Some we know very well, and have been afforded the great joy of getting to share in their lives. Some we may not know well at all, but their presence alone encourages us think more of the community we are surrounded by. We have been so fortunate to come across so many good neighbors over the years. 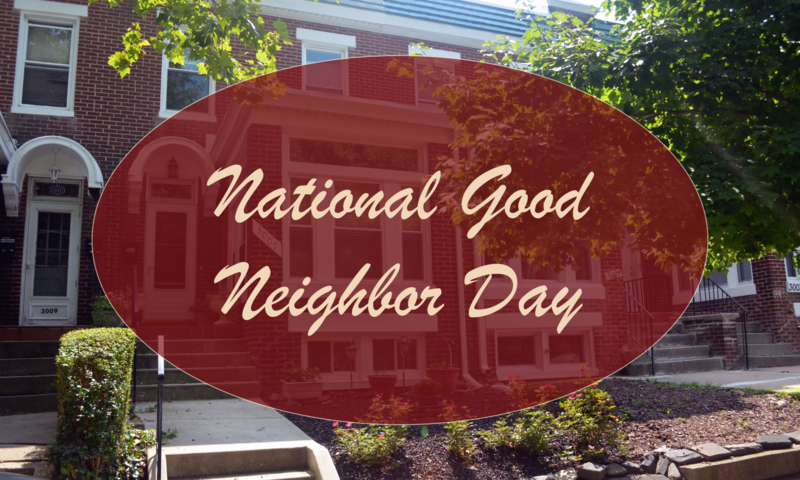 We had to take this chance to recognize them on this National Good Neighbor Day! Their stories bring to light the great impact our fellow community members have on us, and the wonderful sensations accompanied by embracing those connections. Our homesharers in particular are shining examples of people who go above and beyond to help others. Karen Heyward-West, director of the Homesharing Program, spoke to Mr. Jones, who was matched with Ms. Smith and her 8 year-old grandson. He was happy to report that they all were getting along extremely well (Names of clients have been changed to protect their identity). Ms. Smith also shared her story with Homesharing. 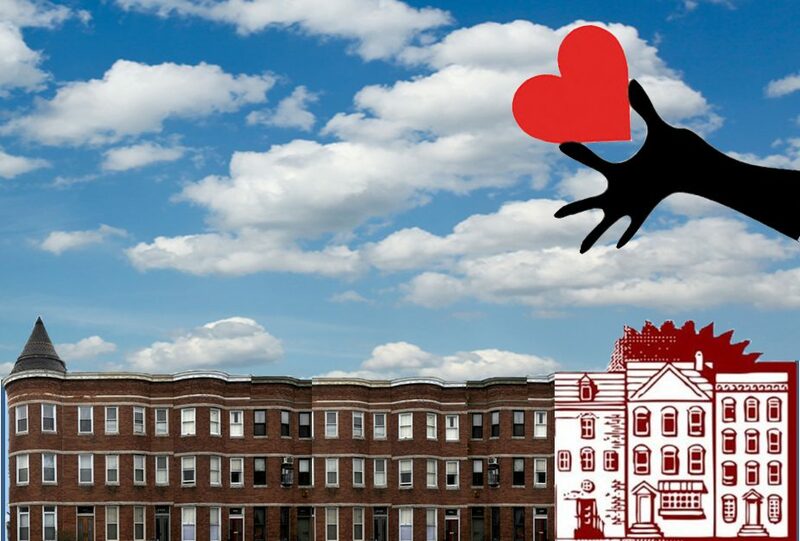 Thank you to all the good neighbors, who help us find and create homes. Thank you for being a part of our lives. We are exceptionally grateful for you, who so graciously reach from the bottom of your heart to lend us a hand. We hope we can be good neighbors to you too. What neighbors are you grateful for? What impact have they had on your life? 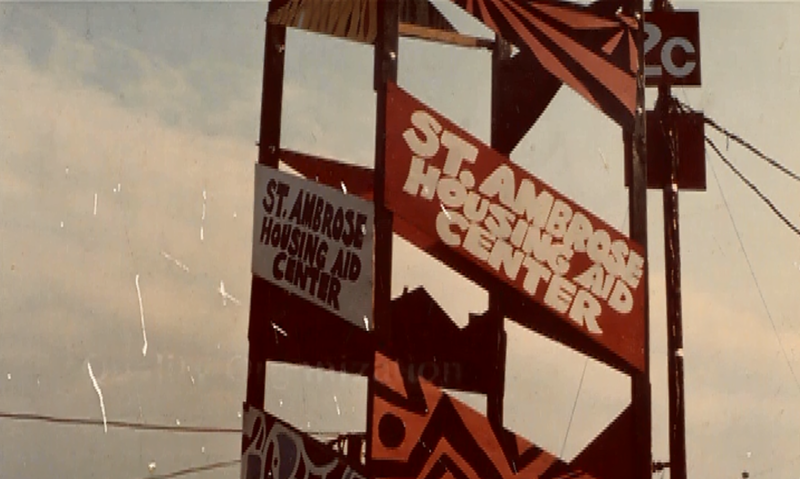 Ralph Moore comments on the secret to St. Ambrose’s success over the last 50 years through the story of a woman who found her footing in a St. Ambrose rental home. Ralph is a former staff and board member. 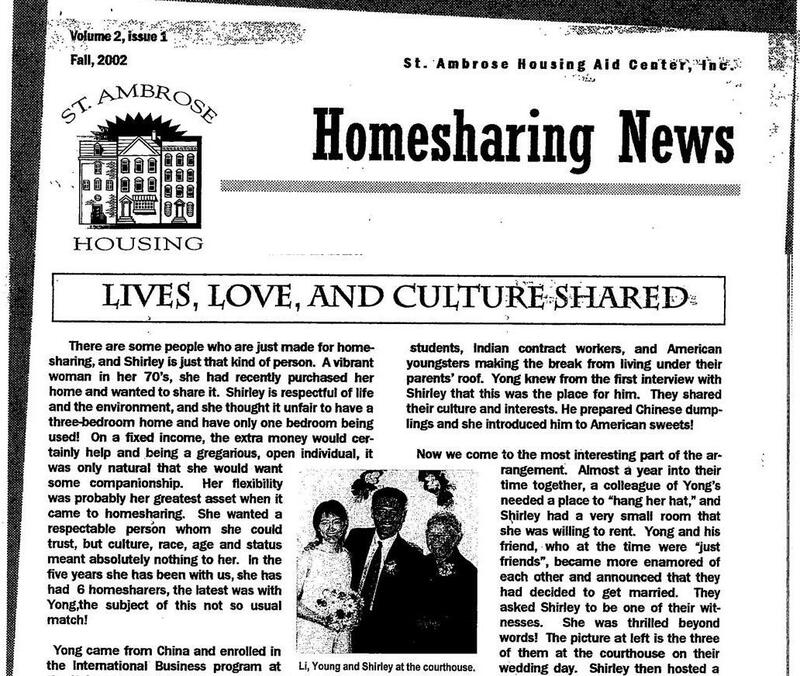 A story of lives, love, and culture shared as told by Annette Leahy Maggitti, Homesharing pioneer and veteran. The following is an excerpt from the Homesharing Newsletter: Fall 2002. There are some people who are just made for home­sharing, and Shirley is just that kind of person. A vibrant woman in her 70’s, she had recently purchased her home and wanted to share it. Shirley is respectful of life and the environment, and she thought it unfair to have a three-bedroom home and have only one bedroom being used! On a fixed income, the extra money would certainly help, and being a gregarious, open individual, it was only natural that she would want some companionship. Her flexibility was probably her greatest asset when it came to homesharing. She wanted a respectable person whom he could trust, but culture, race, age and status meant absolutely nothing to her. In the five years she has been with us, she has had 6 homesharers, the latest was with Yong, the subject of this not so usual match! Yong came from China and enrolled in the International Business Program at the University of Baltimore. In the student housing guide, St. Ambrose was listed. He wanted a quiet, peaceful place to live and work. Shirley welcomed him as she had with all of her former housemates. She had hosted Korean students, Indian contract workers and American youngsters making the break from living under their parents’ roof. Yong knew from the first interview with Shirley that this was the place for him. They shared their culture and interests. He prepared Chinese dumplings and she introduced him to American sweets! Almost a year into their time together, a colleague of Yong’s needed a place to “hang her hat,” and Shirley had a very small room that she was willing to rent. Yong and his friend, who at the time were “just friends”, became more enamored of each other and announced that they had decided to get married. They asked Shirley to be one of their witnesses. She was thrilled beyond words! Shirley hosted a reception at her home, combining American culture and food with Chinese decorations and delicacies. Neighbors, friends, students, professors, family members and St. Ambrose staff, the initial matchmakers, celebrated another success!